Steel Oblong Busk - Industrial Plasters Ltd. 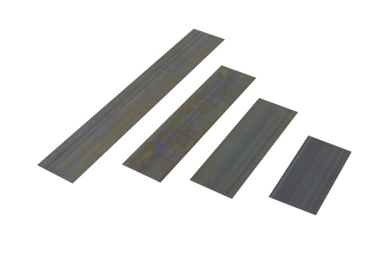 Flexible steel oblong busks, manufactured from flexible blued spring steel, hardened and tempered, useful for scraping, skimming, smoothing and chamfering clay and plaster. Size: 12" x 2" 4" x 2" (0.005") 4" x 2" (0.010") 6" x 2" 8" x 2"